One of my goals for the posts I make on this site is not to have three book reviews in a row. This is actually really hard for me. First of all, I read a lot. Second, book reviews are easy content to create. And, finally, they tend to draw a lot of people to my website. I know this last fact thanks to Google Analytics. I can see which searches land on this site, so I know what you’re looking for. The reason I’m pointing this all out is because my previous two posts are book reviews, a fact which I forgot when I tore into a new book with plans of posting a review. So, this post is definitely not a book review. Charley vows then and there that he will fight the system because he knows all life is valuable, regardless of what the system dictates. I’ve been able to enjoy other books that are heavy-handed when conveying a particular message, and I agree that all life is valuable, so I figured reading it probably wouldn’t make me angry. I was right—it didn’t make me angry. Instead, I was bored to tears. I got a whole 20% in (my Kindle tracks reading progress) before I had to give up on it. That entire portion of the book was purely exposition. Instead of experiencing the dystopian setting through the protagonist’s eyes, he sits down and just explains how everything in the city works. I was so sick of seeing the word “System” over and over and over as he details all kinds of nuances of the society. When a character is introduced, they get a long inauguration depicting every quirk about that person instead of revealing information on how each person acts by having them act. By the fourth chapter, yet another new character is introduced, and the exposition goes on and on about how he would do anything to protect his family. Then the book jumps to another new character, taking five pages to explain exactly how ugly he is. At that point, I had to call it. 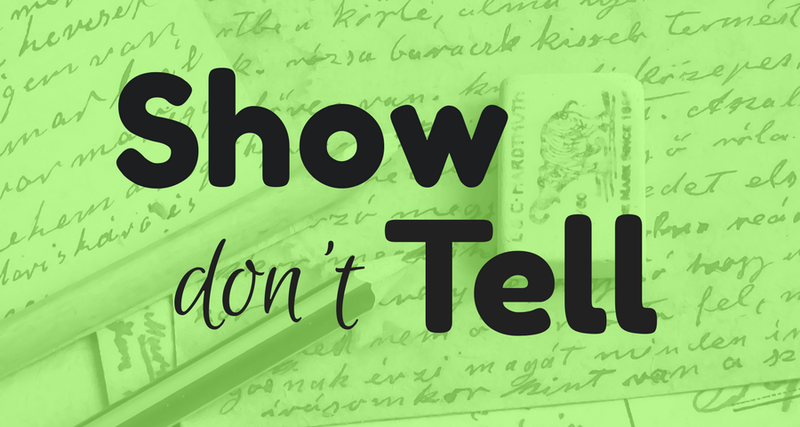 The biggest rule that gets parroted around the writing community is “show, don’t tell.” Now, a lot of people take this way too far and refrain from ‘telling’ characters’ sensations and emotions. Instead of saying “He was angry,” they’ll say, “He balled up his fists and a large vein protruded from his forehead.” But when taken to this extreme, the story starts to read like stage directions. The kind of telling that detracts from a story are things like, “She was quick to anger, always looking for a fight.” As a reader, I’m slow to believe a summation of how a person acts unless I get to see them act. Show our heroine getting mad over something small, then challenging the closest person to a duel. I think every writer is guilty of at least some superfluous telling. Even I am. This is why it’s so important to have other (qualified) people go over your manuscript before publishing. Join a writing group, team up with avid readers of your genre, and for the love of God, hire a competent editor.